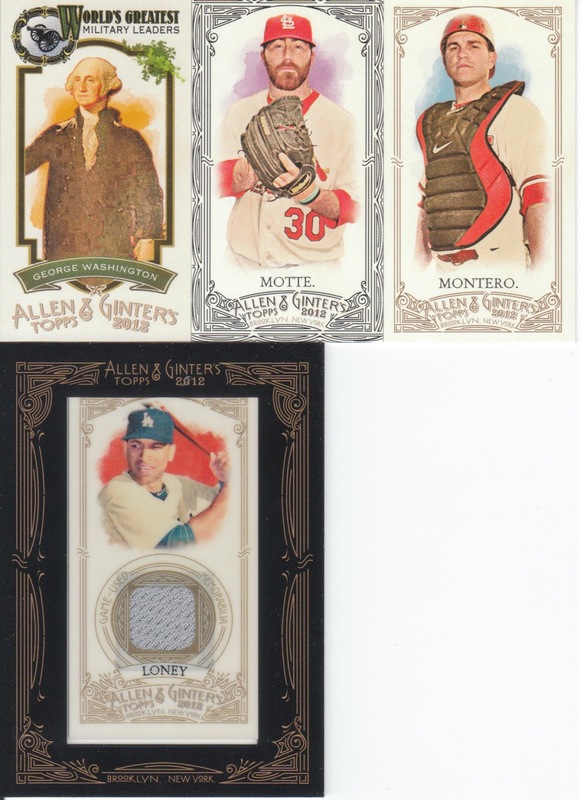 Good ol' George Washington... and I should be able to trade the Loney for sure... but why, you may as, is the normal looking Montero included here and not in the previous scan? Second third, here we go! The culinary cards are great, but Muktuk sounds disgusting. 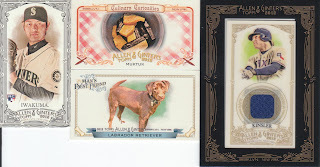 I really like the Man's Best Friend mini's as well, but tough to get the set at one per box. Kinsler should be an easy trade as well. If any of you fine men or women pull a JD Martinez autograph, please let me know! 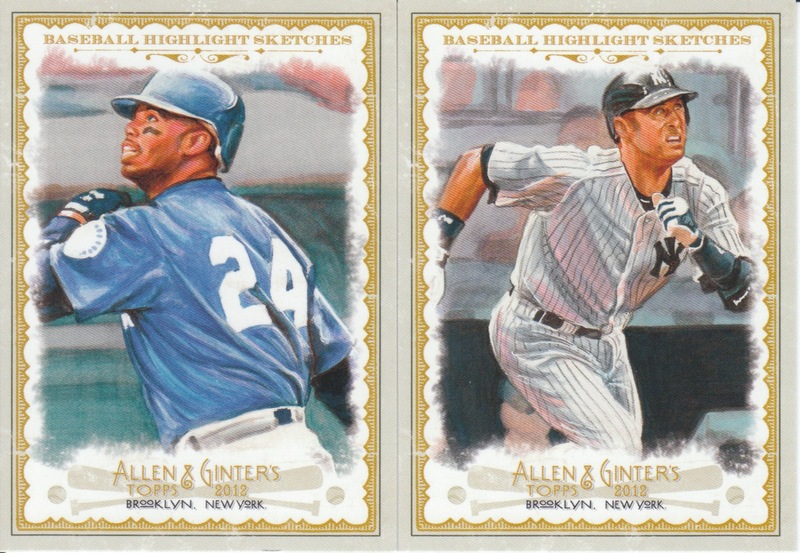 Yep, two highlight sketches and two pretty dang good ones at that! Ok... now for the hit in the third third of the box!!!! It's one of the best 3rd baggers of ALL-TIME!!! Keep scrolling, it's worth it!!! Outside of the rip card and this ridiculous autograph... the collation on the base set has been horrid. I'm going to be posting a want list and you'll see I have a LOT of the base set still needed. Although I do have 26/50 of the SP's already! 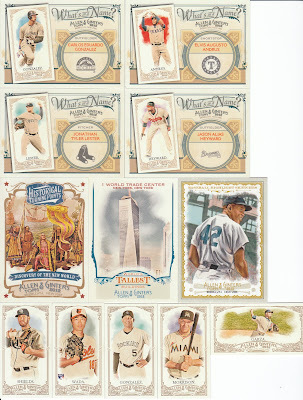 I will also let you all know what insert and mini sets that I am chasing and which ones will be available for trade. Hope you all enjoyed my bit of A&G madness. I should have Gint-a-Cuffs but alas I disparaged A&G enough on their site that I'd be a hypocrite from crawling back... although I'd have gotten a hell of a lot of points for my Nolan Ryan EXT mini for sure!!! HAHA! That is a nice pull. A really sweet card! 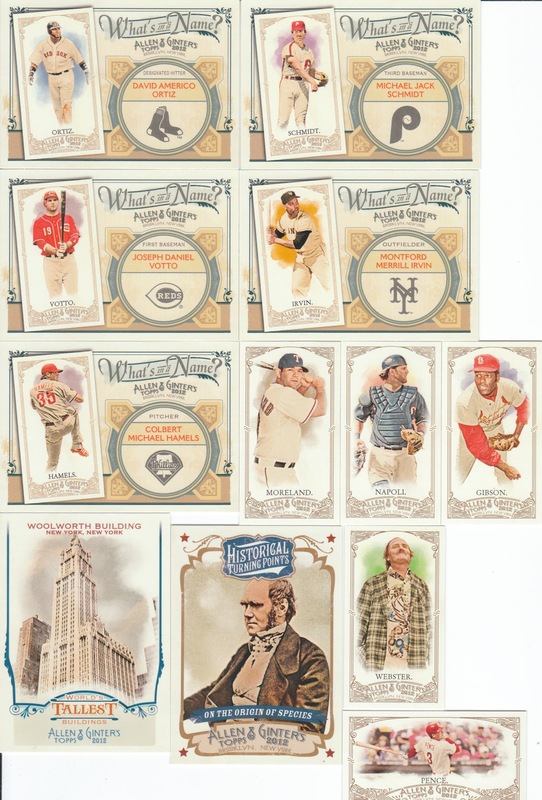 As for your thoughts about box loaders - I don't care much for them 99% of the time, but I kind of like the idea of a cabinet card for the non-sport stuff. The roller coasters this year are a must-have in my collection because I love coasters so much. 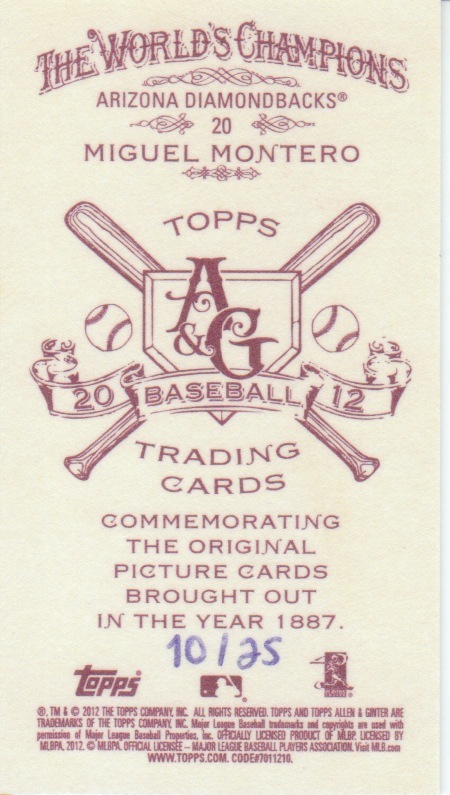 I don't really like the baseball ones much at all. You had crazy success with those boxes! Holy Schmidt! I'm in for the Kins. Let me see what I get in my box. I cannot believe everyone luck. I SWEAR I AM CHARLIE BROWN. If it weren't for bad luck, I'd have no luck at all! 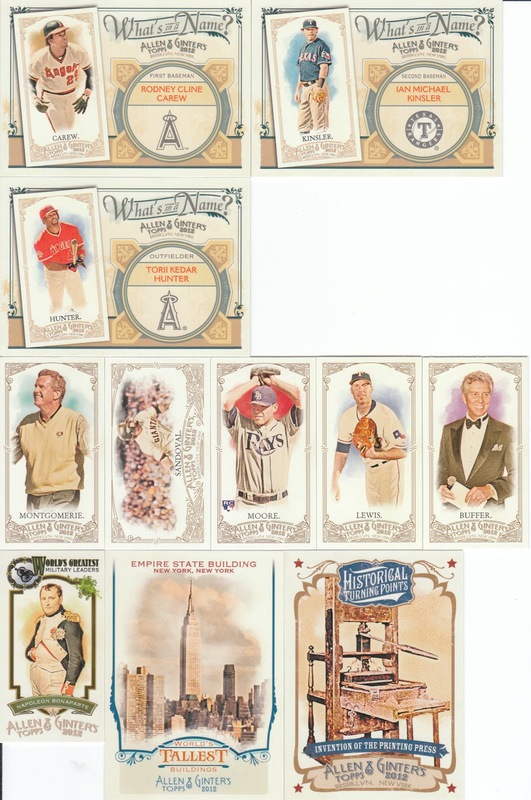 I think the improvement Topps needs for the boxloaders is to have them already in top loaders. They are a hassle because they are odd sizes, so it's hard to store them or trade them without destroying them. 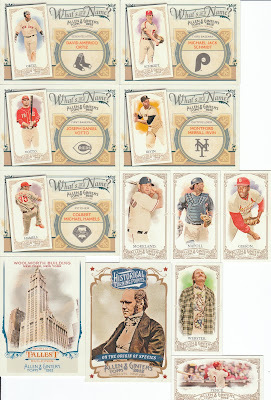 I would love to get an N43 or cabinet card already in a toploader to fit. Awesome card, grats !! I also had issues with my base cards overlap so have a pile of base cards for trade and still 1/3rd I need. 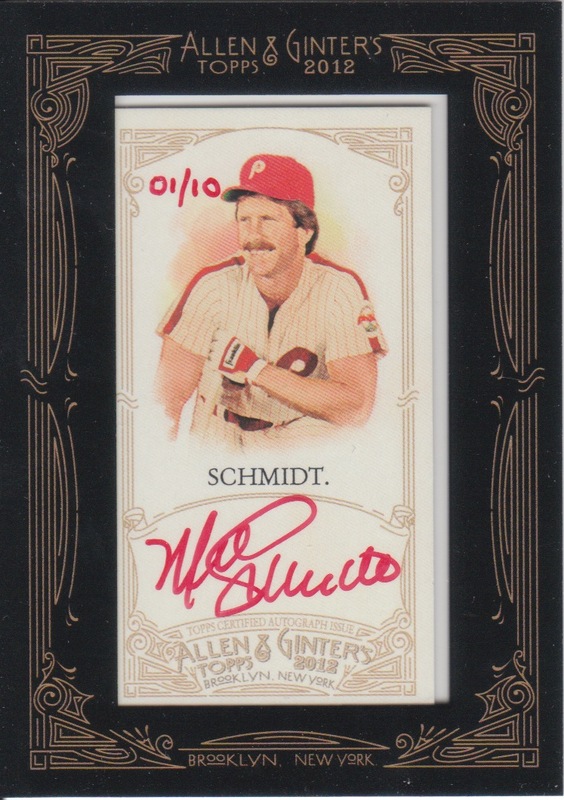 Wow, that Schmidt card. I mean...holy smokes! I'd make you an offer on the Schmidt, but I aint got $200 layin around!! Nice pull. You guys are making me want to buy a box more and more every dang day!! sweet pull Sam! 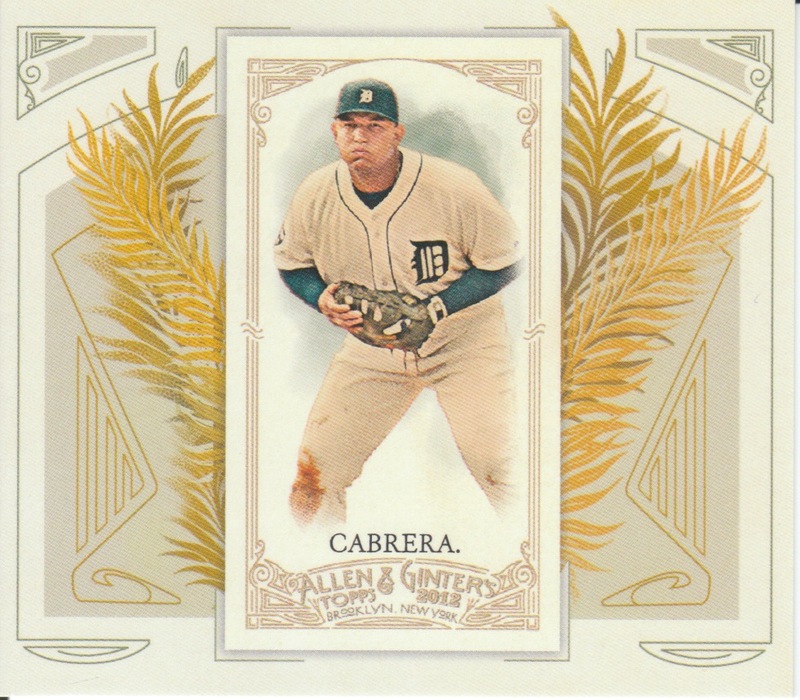 love Ginter red autos, congrats congrats congrats! 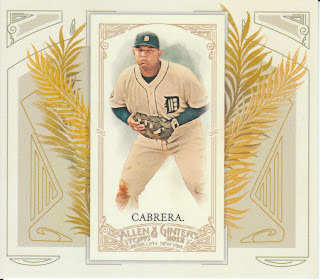 Contact Daniel at It's Like Having My Own Cardshop (http://betterthanbeckett.blogspot.com) for a D-Back fan. Damn, you killed it! Awesome pull. 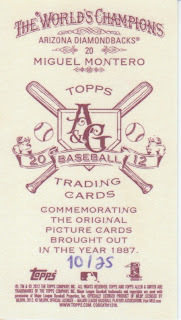 On the d-backs fan comment, you do know "Its Like Having My Own Card Shop" blog don't you? He's your man! I've found a trade partner for the Montero already. However, aj245, I still have no way of contacting you to tell you so. Please, if you are going to comment on my blog, either add an e-mail link to your blogger profile, or send me an e-mail directly, as I have no way of contacting you.